Was out and about today in northern Wyoming following getting about 3-5" of snow yesterday. It pushed a lot of waterfowl our way, which is exciting. Some migrants hidden in with the regular suspects. Lake DeSmet, and it's not unusual at this time of year to have Common Loons. On top of being a far off shot again, and it never came up in view again, the glare was really something. 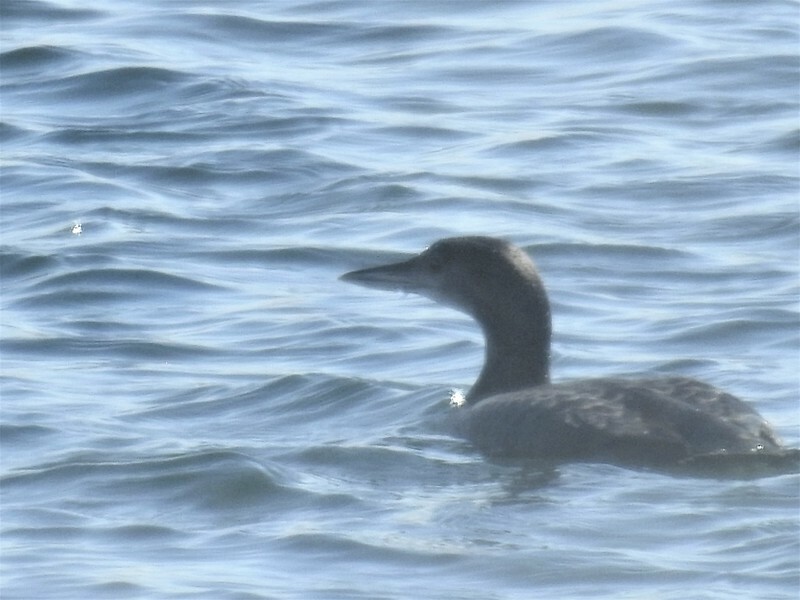 Odds are on a Common Loon, but it's a little less beaky and black and white than I'm used to seeing, so looking for other opinions. 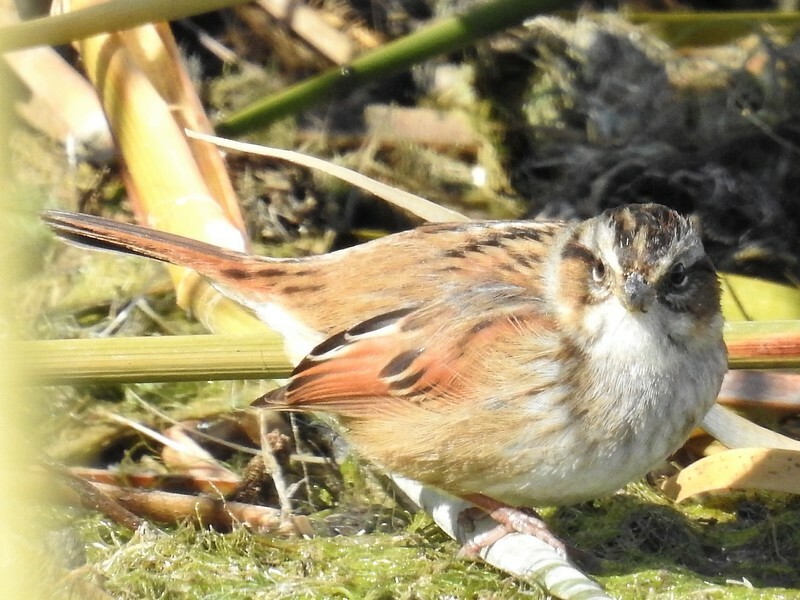 Back at Healy, which was much more dried up from last week, where I was lurking among the reeds and standing in the mud, being part of the scnery when a lovely Sora came out and walked around me, I also got this sparrow, which I think might be a swamp? While I'm at it, for the bonus round, 10.14.18 at a pond east of Buffalo WY, I diagnosed as a Short Billed Dowitcher, which is unusual around here. I'm not 100% comfortable with that, thinking it might be wishful thinking on my part. Any thoughts? Bump. Nice photo of the sparrow, what ever it turns out to be. 4. 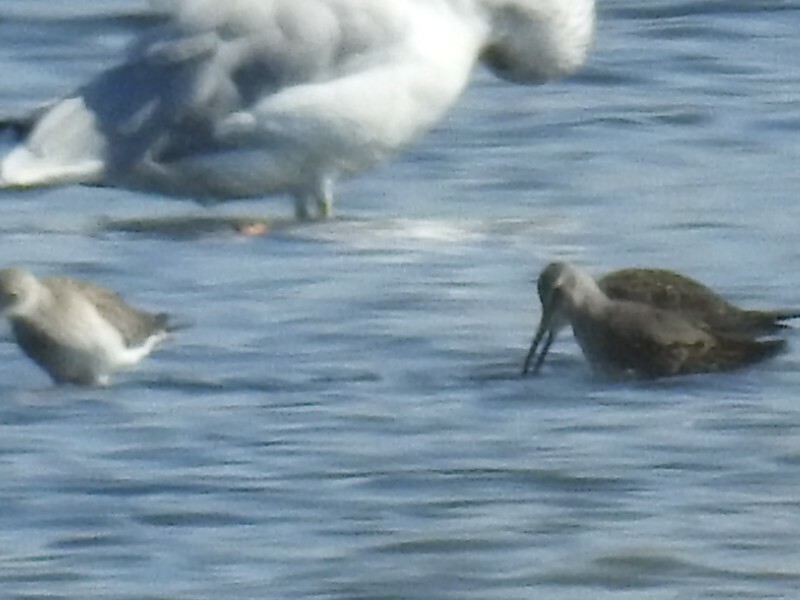 Couldn’t figure it out, so I plugged the image into iBird Photo Sleuth and got a 38% match to Long-billed Dowitcher, 32% match for Hudsonian Godwit, and 5% match for Marbled Godwit. Thanks both of you! Still hopeful for a few more guesses. The loon was wishful thinking, and thank you for the swamp sparrow confirm, that's a bird I've only seen once before, and never in Wyoming! I usually get better pictures....I don't trust my old eyes really and binocs don't work very well for my used to be very near sighted vision for some reason. But it never fails, the shot that is lousy is going to have a surprise bird in it I can't figure out! 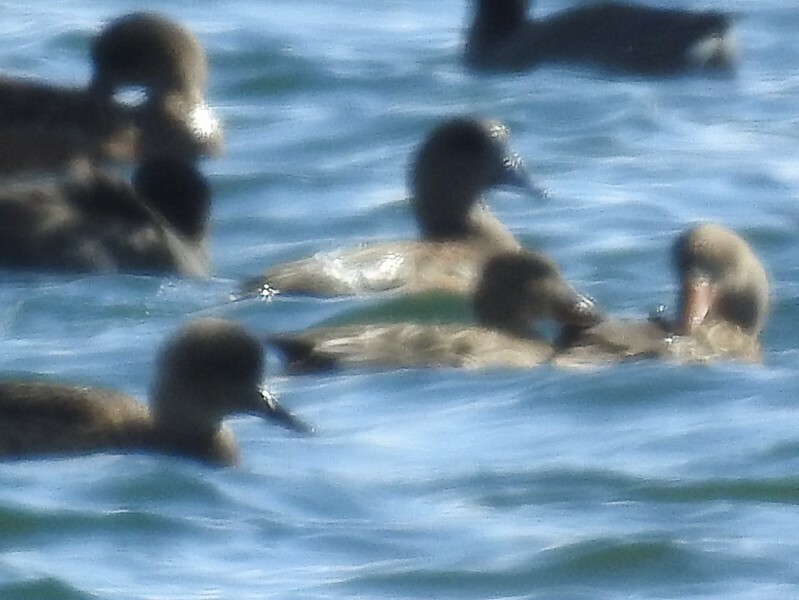 I don't see any scoters in the first pic, there's at least one Gadwall, maybe an American Wigeon and some shovelers. I don't trust my old eyes really and binocs don't work very well for my used to be very near sighted vision for some reason. Sidebar: Are you using your binos with or without glasses? if you are wearing glasses and you binos have adjustable eye cups, set them as low as possible. Also, have you adjusted the diopter recently? That can make a heck of a difference! I think I’m seeing a Wigeon center frame in one. Honestly, that last bird looks like a Hudosnian Godwit. My limited use of binoculars is usually when someone hands them to me, I try to use them, and I get sort of nauseous. I know that sounds weird...but it's been that way ever since I was a kid. Maybe it's just never having a good pair, or a pair that is dialed in for me, but I also almost never wear sunglasses for the same reason. My eyes were so nearsighted before I got lasik about 17 years ago, that I couldn't even read the big E on the chart without them. Now I have pretty good vision still following the lasik, but the best way I can explain is it feels like my eyes are so used to focusing on the closest things that they still focus on the near things like glasses or binoculars instead of the thing I'm trying to look through it at. I also don't use my viewfinder on the camera for the same reason. That's pretty much instant headache. I also have a shunt in my brain in the last five years, so that might contribute to the oogy feeling too. I don't know. I'm a mess? I wonder if I could get away with a scope, but I suspect I don't want to spend the money on a great one and wouldn't drag it along with me half the time if I did. The first photo, I've pondered the coloring people are seeing, but my focus I think is stuck on the bills, which look shorter and very cupped too me. Too short for shovelers, too cupped for wigeon. But then, I can't tell what they are myself, so you all could be quite right! The last one...Godwit, that's intriguing, I'll do some comparing with my bird books when I get home. I'm on the road today going from Sheridan, WY to the Denver metro area in a rental car, and it drives me batty to leave my mobile library behind! Keep the ideas coming, I love them, and it gives me something to learn from! Thank you!